A husband and wife involved in the production of disgusting online fetish videos that involved animal torture have been sentenced. People for the Ethical Treatment of Animals (PETA) helped file the charges against Dorma and Vicente Ridon. The San Fernando Regional Trial Court found the couple guilty of child abuse, animal welfare crimes, human trafficking and wildlife protection crimes. 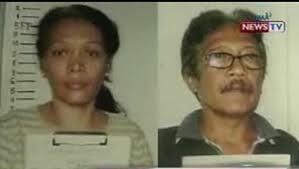 The court handed down life sentences to both and also imposed a nine-million peso fine against each of the couple. Peta said the couple had been involved in producing vile videos that showed scantily clad women “skinning a dog alive and burning another with a clothes iron.” He went on to say the videos also showed the girls cutting off rabbits’ ears and setting them on fire while they screamed in agony – another video showed them hitting a monkey in the eye with the sharp end of a Stiletto heel, and crushing puppies until they vomited out their own internal organs. One girl involved in the ‘crush’ videos was only 12-years-old at the time of filming. PETA said that the ‘crush’ videos were being bought by perverts from Australia, France, Korea, Malaysia, the UK and the UK over the internet. The couple had been arrested in early 2011 after PETA and the National Bureau of Investigation conducted a probe into the couple’s horrific movies.